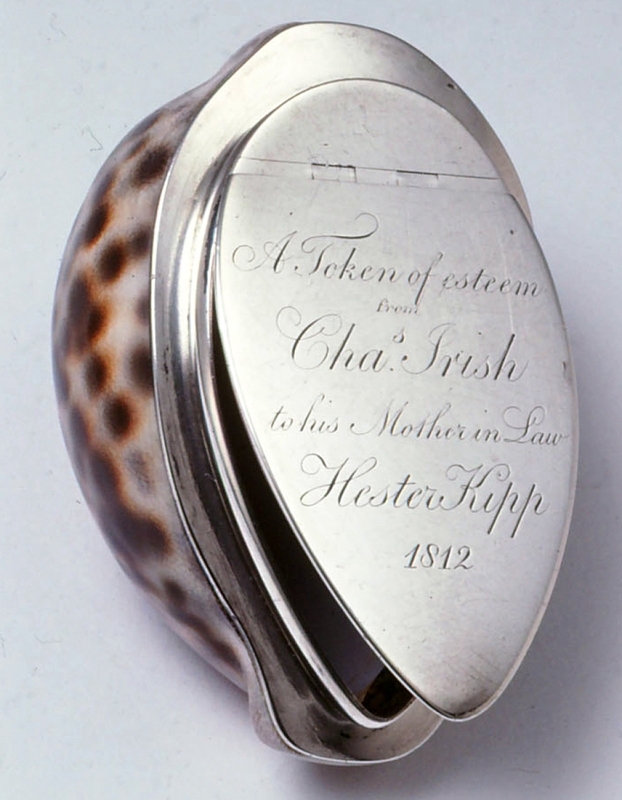 Tiffany & Co., Goelet Prize for Sloops, 1889, sterling silver and gilding; Museum of the City of New York, gift of Mrs C. Oliver Iselin. 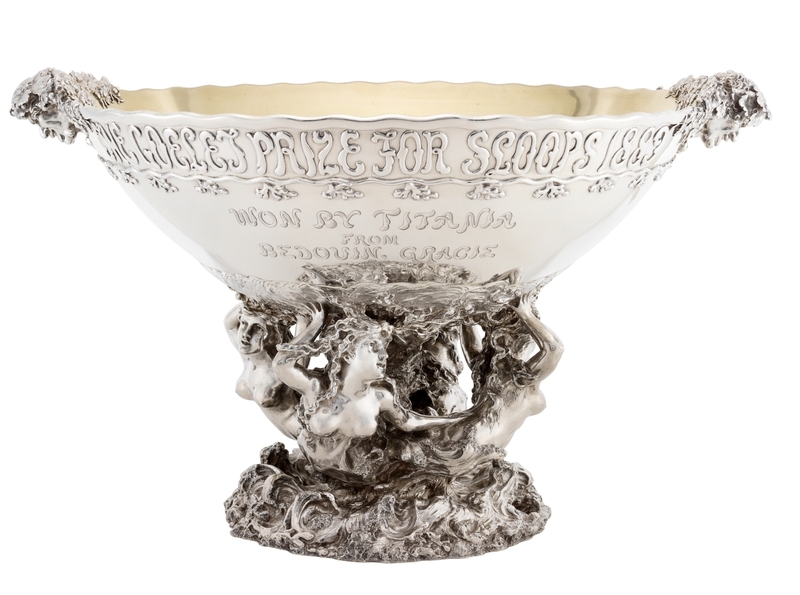 NEW YORK CITY – The Museum of the City of New York presents “New York Silver, Then and Now,” an exhibition designed to create a dialogue between 25 contemporary artists, silversmiths and designers and the New York silver in the museum’s permanent collection. On view through next June, the exhibition displays original works of art created for a modern audience by these artists alongside their historic inspirations, culled from the museum’s collection and presented in the Museum’s Tiffany & Co. Foundation Gallery. The exhibition is organized by guest curator Jeannine Falino. “Women’s Work #1,” Amy Roper Lyons, 2017, silver, 3-D printed and cast, hand polished and patinated, enameled; courtesy of the artist and the Museum of the City of New York. Engaging contemporary artists with treasures from the museum’s collection allows the exhibition to illuminate the evolution of the ancient craft of metalsmithing and explore the expressive potential of silver as an artistic medium. As the Twenty-First Century artists open a discourse with the work of their predecessors, they weave modern interpretations of historic issues – including the role of women in society and use of slave labor to mine this precious metal – into an artistic conversation between past and present. Some of these modern creations – made by artists like Kiki Smith, Chitra Ganesh, Laurene Leon Boym, Preston Jones and more – seek to retain the function of their historical counterparts, while others are transformed to serve new purposes. Some contemplate abstract issues, including the mystery of life and death. All of these works probe the changing role and enduring appeal of a medium with a longstanding history of use, enjoyment and value in New York households, and together they offer fresh ways of thinking about this lustrous and versatile medium in modern times. 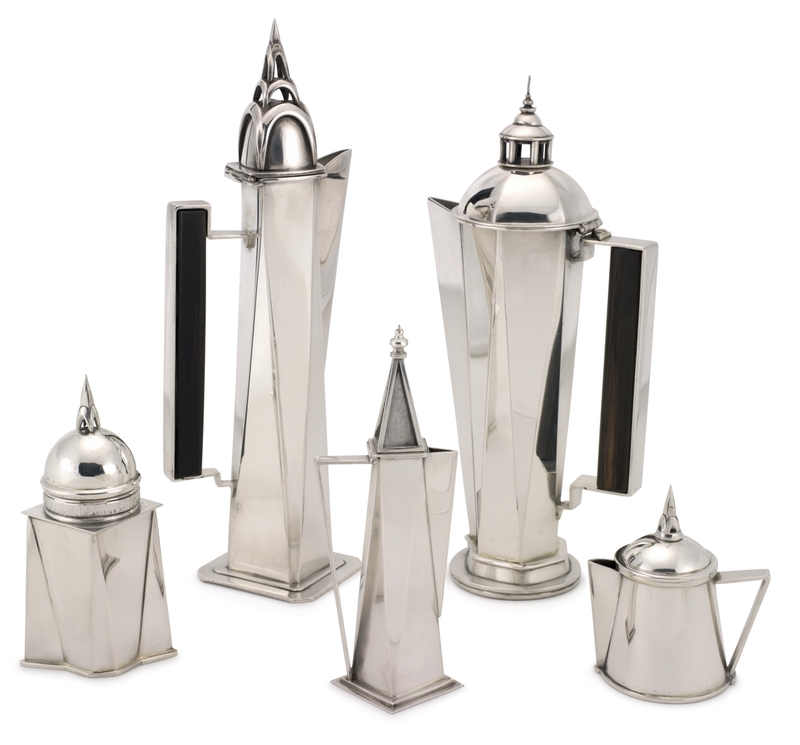 The exhibition also presents a historical narrative on the use of silver as a reflection of time and culture. 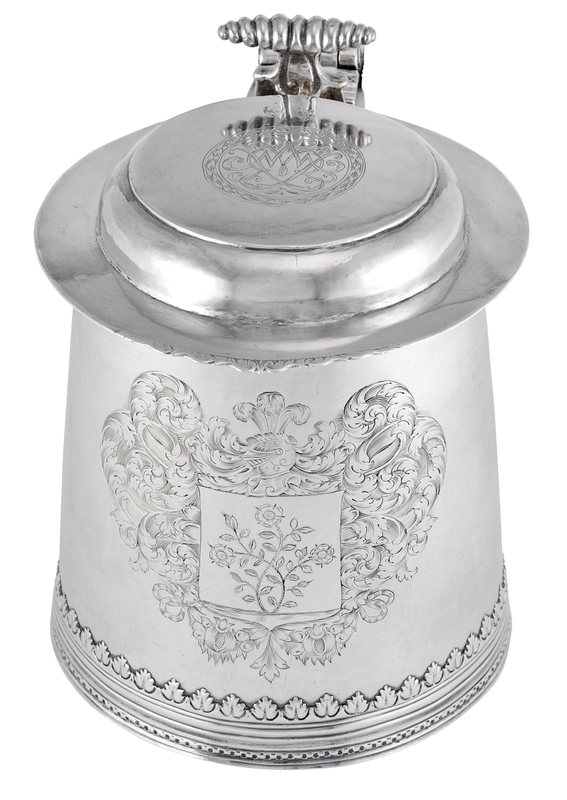 Silver was once at the center of a well-appointed home, with its beauty adding to the family dinner table and its material value providing its owners with financial security in uncertain times. It was the treasure lovingly bestowed at births, weddings and funerals, marking important passages in life. 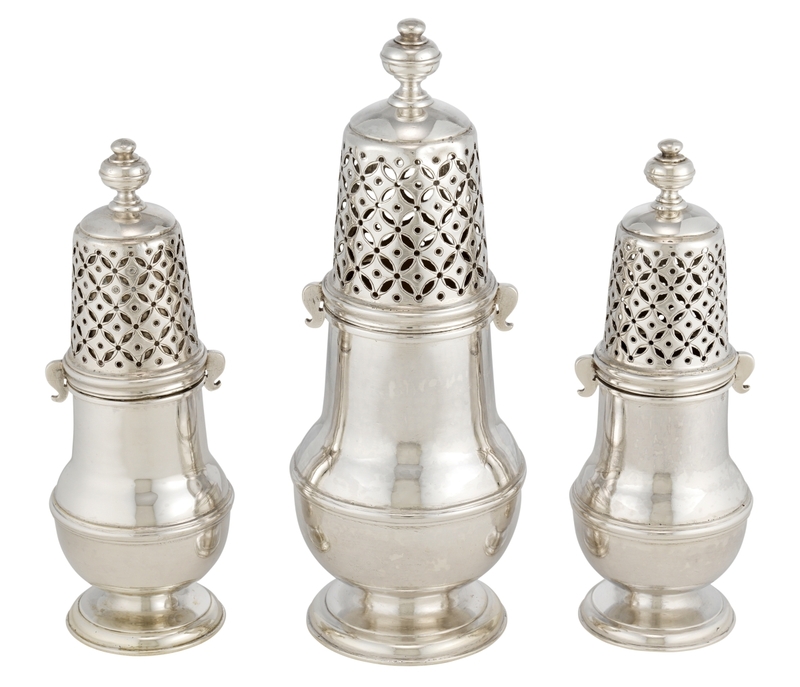 The role of silver in daily life has evolved over the years as fashions and social usage have changed. This is especially true with the quickening pace of life in Twenty-First Century, where family gatherings have become less formal, especially ones built around the dinner table. Even so, silver holds its fascination for consumers, collectors and artists, suggesting something timeless about its liquid, shimmering surface – something the exhibition aims to communicate through an artistic give and take taking place across time and space. 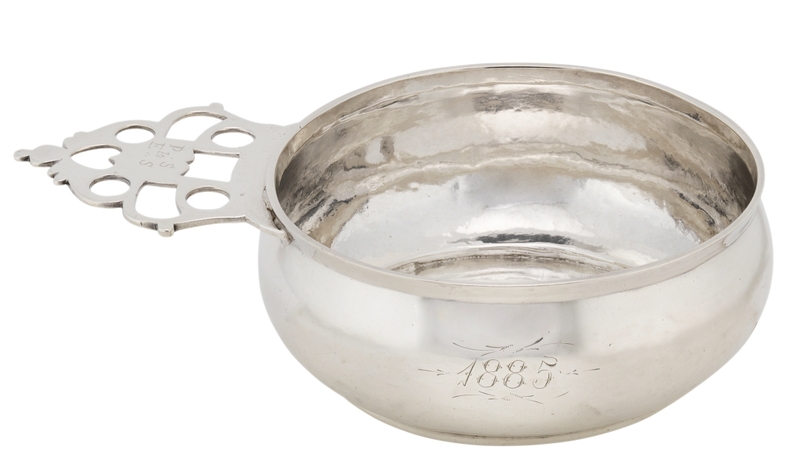 Silver porringer by John Hastier, circa 1750, Museum of the City of New York, anonymous gift. Among the featured works on view are Ganesh’s beaker made to honor the more than one million people buried in the pauper’s field on Hart Island, inspired by a 1708 beaker made by Hugues Lossieux and Joseph Leddel with anti-Catholic engravings; a honeycomb bracelet by Smith, inspired by a Tiffany & Co. bonbonniére made of platinum, gold, pearls, diamonds and sapphires; a hand-wrought spoon designed by Sheila Bridges and based upon designs for ships used in the transatlantic slave trade paired with late Seventeenth Century silver spoon made by Cornelius Vander Burch; and a circa 1750 John Hastier porringer and a Twenty-First Century pillinger reinvented for present-day medicinal purposes by Constantin Boym. The museum is at 1220 Fifth Avenue at 103rd Street. For more information, www.mcny.org or 212-534-1672. Silver tankard by Benjamin Wynkoop, 1700–20, Museum of the City of New York, gift of St Luke’s Roosevelt Hospitals.